Interroll, a worldwide leading producer of high-quality key products and services for internal logistics, will exhibit in Dublin at the National Manufacturing & Supply Chain Conference & Exhibition held on January 26th 2017. 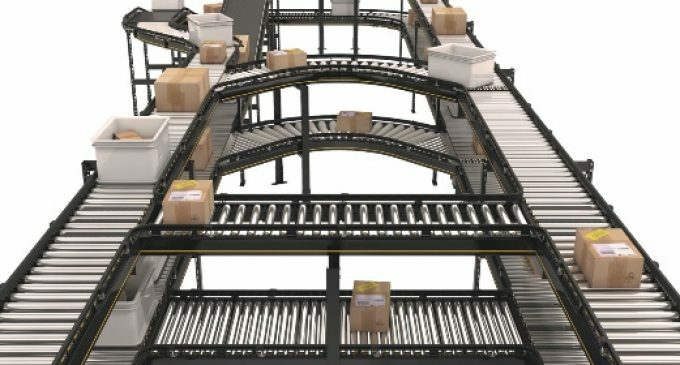 Interroll’s products include easy-to-integrate drive solutions such as drum motors for belt conveyors, DC-powered and non-powered rollers for roller conveyor systems; energy-efficient flow storage modules for compact pallet/container racking systems in distribution centres; crossbelt sorters, belt curves and other user-friendly conveyor modules for cost-efficient material flow systems. Interroll’s comprehensive range of compact, energy efficient, hygienic drum motors provide the ideal drive solution for numerous industrial applications. Available in asynchronous and synchronous designs, Interroll drum motors are perfectly suited for use in the food and pharmaceutical industries because, with protection class IP66/ IP69K, they meet the highest hygiene requirements. 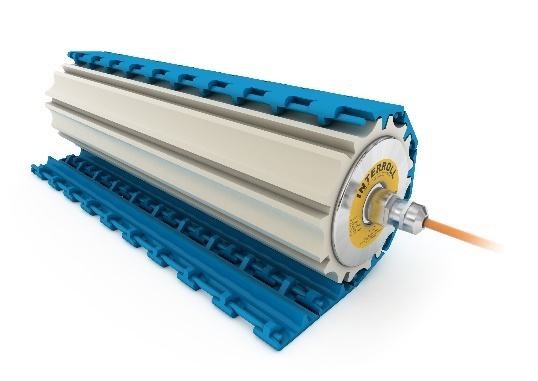 The high torque Synchronous Drum Motor is the most powerful and eco-friendly energy efficient hygienic conveyor belt drive ever developed by Interroll – providing a one drive system to suit all needs and speeds (0.01 m/s up to 4.5 m/s). Manufactured with EHEDG approval, as well as FDA recognition and an IP69K protection rating, the Interroll Synchronous Drum motor requires zero maintenance and can be installed and operated in wet and high pressure wash down applications. Its capabilities now expand into applications previously reserved for servo-drive technology. Combined with an integrated encoder or other feedback system, the Interroll Synchronous Drum Motor can accelerate from zero to 100 percent of the maximum speed in milliseconds. It can be precisely controlled at both extremely high and ultra-low speeds with fast and timely exact positioning. Interroll’s IP66/ IP69K hygienic drum motors can be covered with FDA approved profiled lagging, or fitted with stainless steel sprockets to provide excellent drive performance for all makes of modular plastic belting. Independent tests showed Interroll drum motors guarantee energy efficiency rates of up to 83% and eliminate the risk of product contamination compared with conventional external geared motor drives. Interroll’s Magnetic Speed Controller MSC 50 significantly reduces the risk of damaging goods conveyed on gravity roller conveyors and spirals or the end sections of sorters. Like all other Interroll products, the MSC 50 is maintenance free, easy to install and highly efficient. Featured also will be details of the Modular Conveyor Platform (MCP) that can be flexibly applied in entire conveying systems and is unique in that it can be scaled to meet a wide range of requirements.